There is so much live entertainment going on here 7 days a week 24 hours 365 days a year, that is why many people decide to hire a limo in Birmingham. 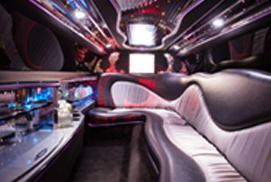 If you are looking to Hire a Limo in Birmingham, a Stretched Limo,a Super Stretched Limo, a Pink Limousine, a Party bus or even a Fire Engine limo, City Limo’s Birmingham has just the limo vehicle for you. With over 50 Limo’s in the Birmingham area to choose from you will not be disappointed with choice. Why not take a ride in our brand new baby bentley limo hire Birmingham? We provide a national service of Limo Hire all over the west midlands. Our fleet of Limousines in Birmingham are truly stunning and are sure to turn heads with you inside! Whats more every customer and passenger is treated as a VIP in a Limo with free bubbly for over 18′s and state of the art lighting and sound systems to listen to tunes whilst you drive and catch up with friends!